Cultivate a love so strong and mark it now and forever with our captivating triple row eternity band. 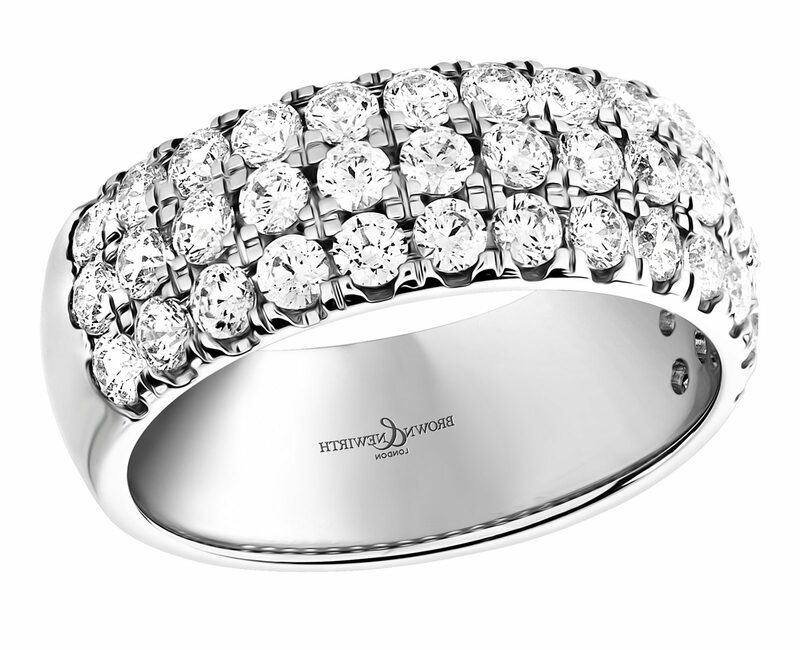 The top half is handset with 1.35ct of beautiful round brilliant cut diamonds, all in 18ct white gold. Brown & Newirth Diamond Half Hoop Triple Row Eternity Ring has been successfully added to your shopping bag.